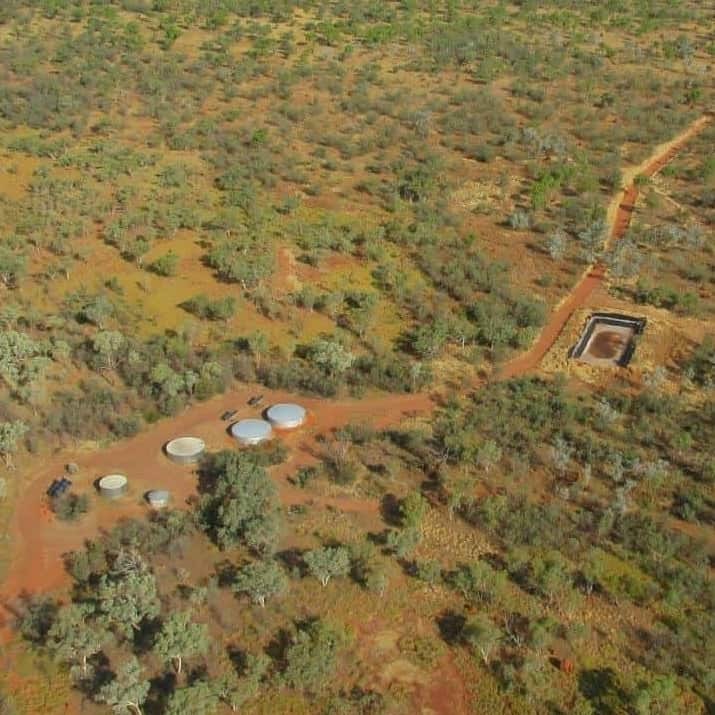 A commonly held assumption in Australia is that rainwater tanks don’t provide significant water savings during drought, however, research has showed that yields from rainwater tanks are more resilient to droughts and climate change, than runoff into dams supplying communities with water. In a study published by Coombes and Barry, (2008) drought was defined as a period where runoff into dams reached critically low levels. These defined periods of drought produce very high reductions in runoff into dams ranging from 41% to 69%. Interestingly, the reduction in yields from rainwater tanks ranged from a much lower 0% to 20%. This result highlights the potential for rainwater tanks to provide a reliable water supply to help supplement water collected via dams and other sources during droughts. It was also noted that it was important that rainwater tanks also supply water during wetter periods, thereby reducing water demands from other sources during more plentiful years, allowing greater carryover storage of water in dams for use in droughts. This has the potential to improve overall reliability and to help drought proof your water supply. Heritage Water Tanks understands how important water security is for our customers and the importance of efficient rainwater harvesting and storage of water. In the same year that this research was conducted, Heritage Water Tanks developed a revolutionary patented water collecting Gutter System. This innovative system enables our customers to collect additional water each year from their rainwater tank roof. After 10 years in the marketplace, the Heritage Water Tanks Gutter System is now recognised by the Smart Approved WaterMark Program and the WA Water Corporation’s Waterwise Products Program. The Smart Approved WaterMark Program is an international water efficiency scheme that certifies products and services that save water and the Waterwise Products program helps to showcase water saving products in Western Australia. Over the 10 years that the Heritage Water Tanks Gutter System has been in the marketplace, our customer’s combined capacity to collect water has increased to over 76,225,000 litres of additional rainwater each year. This is equivalent to over 30 Olympic swimming pools of water. This innovative system has provided customers with the capability to individually harvest an additional 25,000l per year of rainwater for each tank installed. (Based on a 110,000l rainwater tank in a 500mm annual rainfall zone.) In high rainfall zones and for larger tank sizes, the amount harvested can be significantly higher. If you are prone to running out of water each year, the alternative is to buy this volume of water commercially, at a potential cost in excess of $1000 per year. This avoided expenditure more than covers the one-off cost of purchasing the Gutter System in its first year. The Smart WaterMark Program is the outdoor sister scheme to the well known Water Efficiency Labelling and Standards scheme (WELS) for plumbing fittings and our Gutter System now stands side by side with other respected water saving products, such as the Hunter MP Rotator and RainBird Irrigation Controllers. The circular tank gutter system can be optionally fitted onto your Heritage Water Tank when your new tank is installed. The gutter can also be fitted to all existing steel tanks with a profiled roof and can be done easily D.I.Y., or by a plumber or tank installer. Customer feedback has been overwhelmingly positive, particularly in relation to the use of the Gutter System in situations where there is limited roof catchment area available for water harvesting. The Gutter System has increased the capacity of numerous customers, enabling them to harvest additional water for their homes, water for stock, fire storage water, spray water on farms and in Commercial operations. Information sourced from Technical Paper, ‘The relative efficiency of water supply catchments and rainwater tanks in cities subject to variable climate and the potential for climate change’ (Coombes and Barry, 2008).